Konstantin Grcic was born in Munich in 1965. He was trained as a cabinetmaker at The John Makepeace School in Dorset, England and then he went on to study industrial design at the RCA in London. 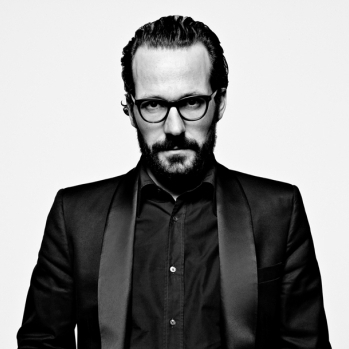 In 1991 he founded his design firm, Konstantin Grcic Industrial Design, in Munich. KGID is active in several areas of design, from furniture to architecture projects. Konstantin Grcic defines function in human terms, combining formal strictness with considerable mental acuity and humour. Each of his products is characterized by a careful research into the history of design and architecture and his passion for technology and materials. Known for pared-down pieces, Grcic is often called a minimalist but the designer himself prefers to speak of simplicity. Grcic has designed products for Eemco, Flos, Magis, Mattiazzi and Vitra. His products have won important prizes and are represented in major design collections around the world.